I think it's a good question. I think it's a not good question. I think it can lead to change. I think it can lead to demoralization. I think it can be stuck up. I think it can lead to humbleness. 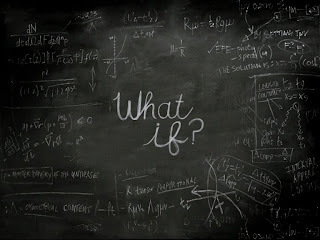 What if this...? What if that...? I think it can be exhilarating. I think it can be scary. I think it can normalizing. I think it can be life-changing. I think it can be liberating. I think it can be passive. I think you can dream it. But, carrying it through is important. I think it can be eye-opening. I think it can be offensive.